They call it San Giljan in Maltese and it is one of the most attractive touristic cities. It can offer huge possibilities of amusement and leisure time activities. 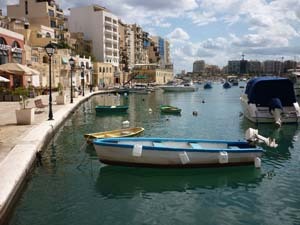 It is situated along the cost, north of Valletta. It takes less than hour by public transport to travel to Valletta. 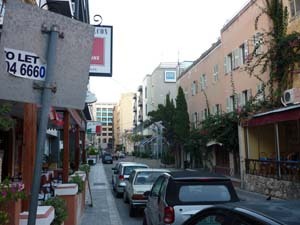 The Town is divided into districts, most of the tourists are accommodated in Paceville. There are also all the summer schools and Paceville. 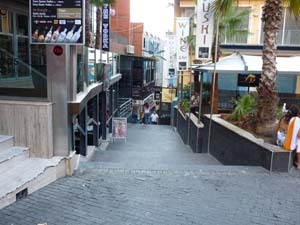 If you seek the nightlife you definitely should go to Paceville. Another interesting place to visit is St. George’s bay. St. Julian’s has almost eight thousand inhabitants but in summer moths this number can be easily doubled because of tourists. This town is quite young, everything started in 19th century and many buildings are developed even today. The most dominant and highest building is Portomaso Tower. It is a skyscraper almost hundred meters high. You can find it on numerous postcards and photos from St. Julian’s. Another great way to spend your free evening is to take a walk along the shore and see all the picturesque hotel bays full of luxurious yachts. Even shop lovers will be content in this town. There are plenty of fashion or souvenir shops. If you want to take a swim in the sea then there is public sandy beach or you can pay admission and enjoy some private one. Public beach is available for you for free and till sunrise. You can also visit abandoned rock beaches between hotel resorts but we highly recommend you to keep your valuables safe when you go to water. Because of there are many students, after midnight whole city is alive and you will hardly find better place on Malta to enjoy nightlife. There are tens of great pubs and clubs. Everyone will definitely find one according to his own taste.